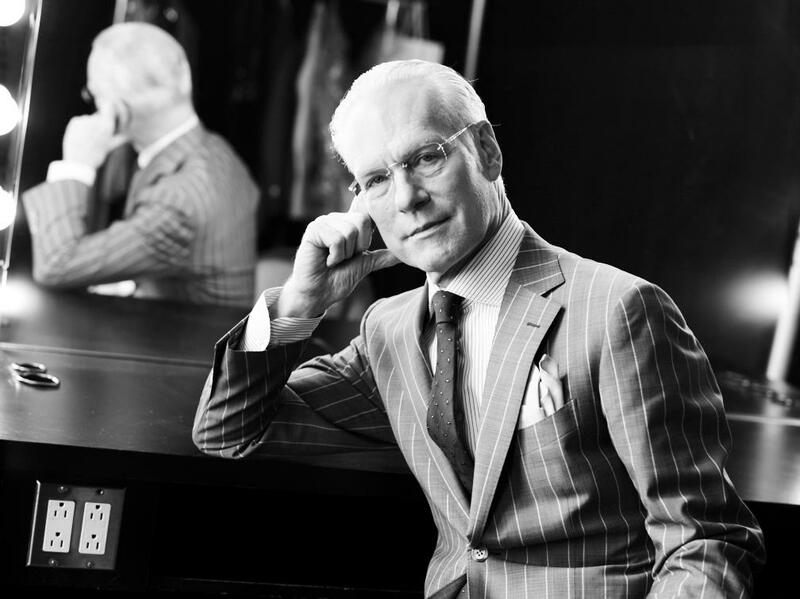 Though fashion consultant, Project Runway host, and actor Tim Gunn is best known for telling designers to “make it work,” he is actually kind of a creative oracle, especially regarding the potential sources of ideas, encouragement, and motivation that are all around us. In his book, Gunn’s Golden Rules: Life’s Little Lessons for Making It Work, Gunn explains how leisurely and even lazy behaviors can hold the spark you need to find your next great idea or pursuit. “As long as we have Netfix, Turner Classic Movies, Amazon, YouTube, and bookstores, there is no excuse ever to lack inspiration,” says Gunn, echoing model Jen Brook’s advice to turn to other media, industries, or creative individuals in times of low inspiration. “My first and foremost advice, is to never look at what others are doing when researching ideas. It’s good to be inspired by your heroes and friends, but you also need to leave your imagination clear preventing inspiration becoming imitation,” Jen wrote in a January CreativeLive blog post. For creatives suffering from the persistent need to make things, the idea of settling in to finally binge watch “The Unbreakable Kimmy Schmidt” can feel like the height of wasted time, but learning from pieces of pop culture that are popular, relevant, and bold can actually help trigger new ideas and inspiration. Plus, science has demonstrated, your brain actually needs some downtime to make the best work possible. A little well-invested boredom might help unlock something you wouldn’t have come up with when trapped in go-go-go mode. Gunn also emphasizes another concept near and dear to us: Showing up for other people who create things you like. “As many people who watch Project Runway know, I am a stickler for good manners, and I believe that treating other people well is a lost art. In the workplace, at the dinner table, and walking down the street—we are confronted with choices on how to treat people nearly every waking moment,” Gunn writes in the introduction to the book. Caring for the work of others – and the feelings of others – are integral to creativity and doing the work, says Gunn. Without humility, curiosity, and drive, you’ll get nowhere.